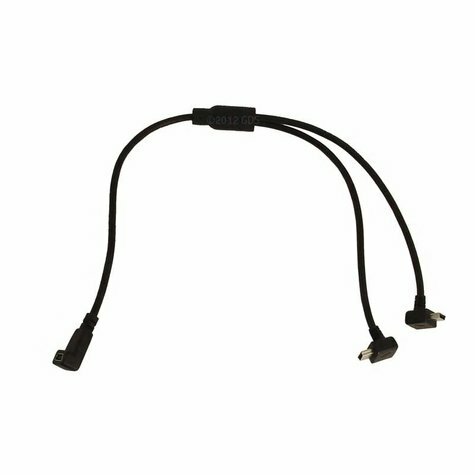 Garmin USB Splitter Adapter Y-Cable. $12.71. The product is great. The only thing I would improve is make them a little more durable. Cable works fine. Appreciate the quick service. Good product. I take up less plugs. Original broke after 4 years of daily use. I see where Garmin has reinforced the connector in this replacement. Great system from Garmin. Exactly what I wanted. Very fast and efficient. Such a relief to find somewhere that will quickly and economically replace small items from an electronic device. Gun Dog Supply is a great company! I love my new splitter to charge two collars off one cable. Very helpful! "I would recommend it. " Gun Dog Supply saved our life!!!! The garmin is the best!! I would recommend it to anyone with an aggressive dog. All my baby does is look at it and she backs off, its the best!!!!! "Ends tend to break off fairly easily unless very carefully disconnected." Ends tend to break off fairly easily unless very carefully disconnected. "If the connections were straight instead of 90 degrees." If the connections were straight instead of 90 degrees. It does what it was made for. "The ends break of easy. The two I had to replace are less than a year old." They are very useful and make charging multiple collars at a time more convenient. The ends break of easy. The two I had to replace are less than a year old. Wrong splitter adapter, y-cable didn't go with my cradle or my charging cradle. Allows you to recharge two devices at once. The Garmin split adapter cable allows you to recharge two devices at once. Works with the Alpha, Delta Series, PRO Series, and Bark Limiter Deluxe.